Five Fascinating Facts about George Orwell’s 1984 | Read.Write.Discuss.Repeat. I liked this post so I thought I’d share this with you all. 1. George Orwell’s classic novel Nineteen Eighty-Four was published on this day, 8 June, in 1949. But this wasn’t the original title of the novel. 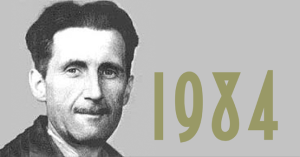 According to the introduction to the Penguin Classics edition, Orwell initially planned to set the novel in 1980; this then became 1982, and finally 1984 (or Nineteen Eighty-Four, as the title is usually rendered). ← The more I write the more the ideas keep flowing.